Roger Finke is Distinguished Professor of Sociology, Religious Studies and International Affairs and is Director of the Association of Religion Data Archives (www.theARDA.com). 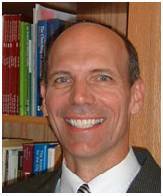 Finke has published widely in the sociology of religion area and is author of two award-winning books with Rodney Stark. His two most recent books are: The Price of Freedom Denied: Religious Persecution and Violence with Brian Grim (Cambridge University Press, 2011) and Places of Faith: A Road Trip Across America’s Religious Landscape with Christopher P. Scheitle (Oxford University Press, 2012). As the founder and director of the Association of Religion Data Archives (theARDA.com) he works with colleagues and students to provide global access to the best measures and data on religion. The ARDA was named one of the 30 Best Free Reference Websites in 2010 by a division of the American Library Association and disseminates more than 60,000 data files annually.